It's Facebook Fridays! for December 18, 2015! If you have been jinxed, cursed, hexed, rooted, or goofered, it's time to take all that mess and "Return to Sender"! 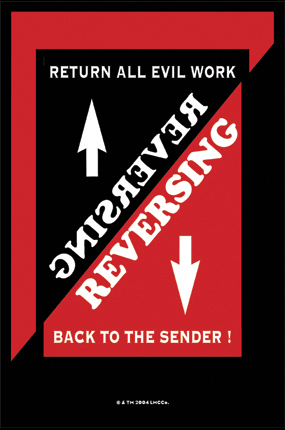 The Lucky Mojo Curio Co. is holding a random drawing to give away 9 different Reversing Spiritual Supply prizes for reflecting all evil work back from whence it came! 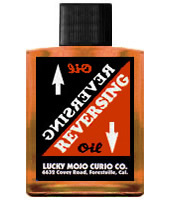 This week the prizes are 9 bottles of hand-made Lucky Mojo brand Reversing Oil suitable for dressing candles as well as fixing and preparing surfaces that your enemy might touch. First thing tomorrow morning, we will select NINE winners at random, announce their names here, contact them via Facebook to get their mailing addresses, and send them their FREE Reversing products. Be sure to click the link and enter for a chance to win! We have a winner! In fact, we have 9 lucky winners! Our Facebook Fridays! winners for December 18, 2015 are: John Shirreffs, Justine Reames, Shelley Wright, Christina Radcliff, Cindle De Broeck Montiel, Leilani Fuiten, Ella Howard, Lindsey Fuhrmann, and Brooke Claussen.